How? How did this turn out to be what DC Comics stands for? How have we come to the point of 5 or 6 comic book movies being released in 2016 from some of the largest studios in the world, and only 2 of them (so far) being even watchable? 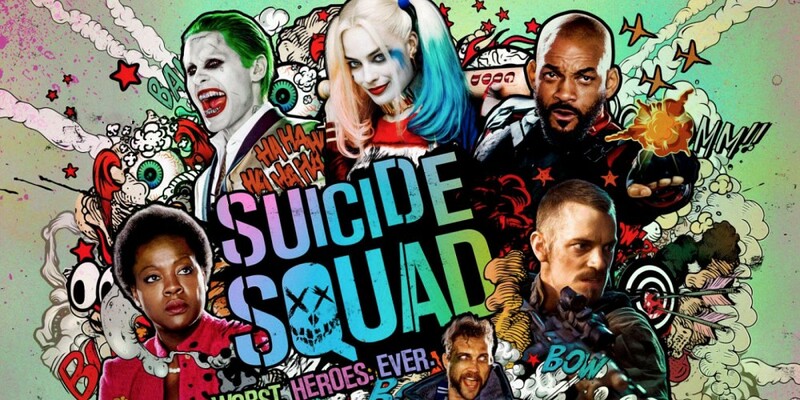 My ultimate question as I viewed this matinee screening of Suicide Squad today was “Who is this movie even for?” Did anyone involved in this production, at ANY level, even have some kind of answer to this question? 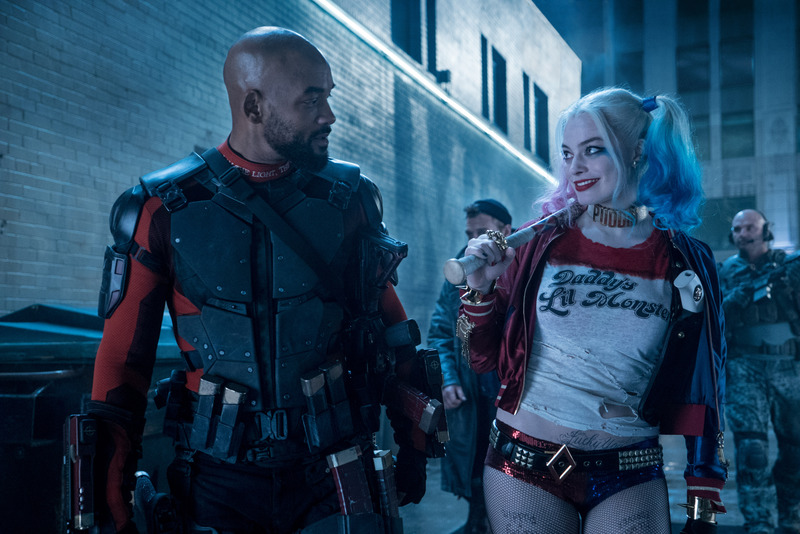 Did Warner Brothers have the slightest idea of what they wanted Suicide Squad to accomplish? Did they even know what it was about to begin with, or why they were even making it? The saddest thing to think of, for me, is wondering how much Chief Creative Officer of DC Comics, Geoff Johns, even contribute to this already-in-shambles production, and would it have been better off being left to succeed or fail without any frantic post-production meddling in the editing room after Zack Snyder’s Batman v Superman debacle? Is it possible that director David Ayer even had a good movie to begin with here? Who’s bright idea was it, by the way, to muck up the tone of this movie with all the absurdist pop music choices that forcefully lightened the tone in scenes where it wasn’t needed? Did someone take notes from Guardians of the Galaxy and Watchmen, and completely miss the point of the music’s presence in those films or even how to seamlessly edit things in without sacrificing the ability to hear dialogue? Again, I press the question: Who is this movie actually for? Did they want to focus on Joker and Harley Quinn, and simply couldn’t come up with any good ideas despite 75 years of the former, and 25 of the latter, in comics and animation history to build off of? Could they not sign Ben Affleck on for a whole movie’s worth of shooting, but were able to strong arm him into doing a week of shooting flashback sequences? Who’s bright idea was it to include Joker in this cinematic universe so early on, anyway? More importantly, how is it that the story of how Jared Leto prepared for playing The Joker in the news turned out more interesting than his portrayal of the character on screen? Was it in his contract to go method, despite how little the character mattered? If they were so confident in his performance of The Joker that they included him in every little bit of the marketing they could, why did they cut out all but six scenes that he was in, reducing his role to simply be a plot mechanic to keep Harley motivated in a situation she had very little business in being a part of aside from fashionably carrying a baseball bat? Speaking of which, was nobody else bothered by the fact that Margot Robbie, while still one of the top 3 most entertaining parts of the movie, dropped into a Long Island accent left over from The Wolf of Wall Street so frequently that it distracted from everything going on in the movie? Have you heard any compliment of her character from any fans or critics that isn’t focused on either her body and costuming, or her use of sexual power over people as evidence of her craziness? Maybe this movie is for fans of CW’s Arrow instead? However, did anyone find that the presence of Kitana or Deadshot worked so much better in the tv show than it did here? Although, most people liked Will Smith as Deadshot in this movie, didn’t they? I honestly can’t blame them considering he’s always added that Fresh Prince charm to things while he improvises, but don’t you think that the character could have felt more like Deadshot brought to life on screen instead of just “Will Smith as Deadshot” if the director had simply pulled the reins on him and his ego for a few scenes? How about Viola Davis as Amanda Waller though? She absolutely killed it, didn’t she? Didn’t she just remind you of an enjoyably sadistic alternative to Marvel’s Nick Fury? Kind of makes you wonder if she was actually more of a terrible human being than the squad of villains she put together, doesn’t it? Can we have more of this kind of moral corruption in our antihero movies? That’s another thing, didn’t anyone else with any kind of common sense take issue with the fact that the plot made absolutely no sense here? Isn’t the only reason the Enchantress and her brother were setting an apocalypse loose in this film entirely the fault of Amanda Waller and her making of the Task Force X program and by blackmailing Joel “Cardboard” Kinnaman as Rick Flag? Ultimately, the fingers end up pointing to the fanbase: is this movie for fans of DC, or even just fans of the DCEU? 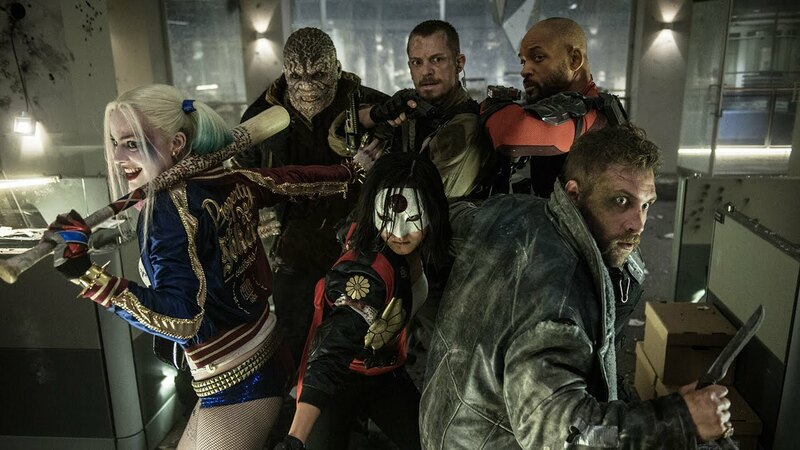 It is exciting to see the world being constantly built over the course of the film, but wouldn’t it just be better to see something that can take full advantage of this growing cast instead of wasting screen time on the likes of Slipknot and Captain Boomerang? I understand the appeal of setting up characters that we’ll eventually see again, but can we at least have a good story to start them off with a bang? Wouldn’t you have been more excited to see a version of this movie with a crew of villains taking on The Batman from their own perspective like he was The Predator? (That’s already a good story and it’s called Assault on Arkham) Or even just a bottle room where they get to know each other in prison and share stories about their adversaries like an evil Breakfast Club? (Look no further than Batman The Animated Series) Come on, DC fans, would you seriously tell me that this Fantastic 4 style ending is the best thing they could have taken advantage of for the final act of this movie? Weren’t you left with the same feeling I had that *SPOILER ALERT* the only real hero was Jay Hernandez’s El Diablo saving the day by turning into Grim Fandango to save the world *END SPOILER ALERT* from morally corrupt cgi characters that wouldn’t even have been acceptable in 2004, and maybe Killer Croc being a boss for a few brief moments? Doesn’t the Justice League deserve better than this? Don’t their villains deserve better? Well obviously not because they’re villains, but shouldn’t they at least have good stories to accompany their outrageous personalities? Anyone, Bueller?